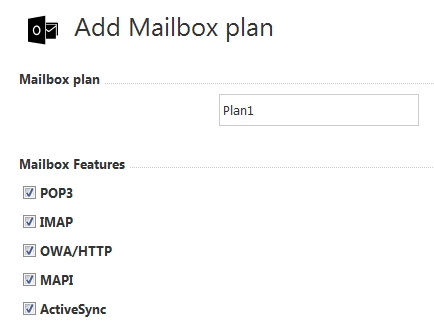 Type in the name for a new plan, and select if you want the following to be enabled: POP3, IMAP, OWA/HTTP, MAPI, ActiveSync. Next, you can decide if you want to hide this plan from addressbook. 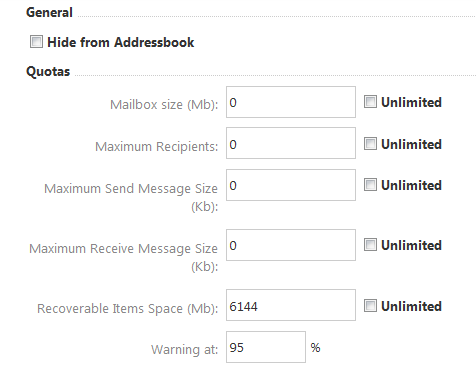 Then you can set quotas for this mailbox plan or set them as Unlimited. 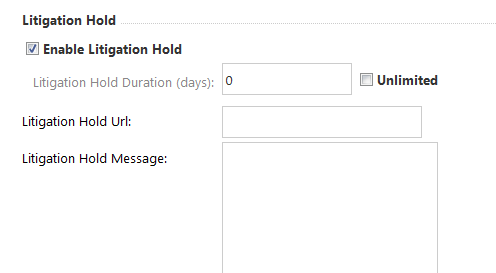 Disable or enable Litigation Hold, set the duration, URL and Hold Message. 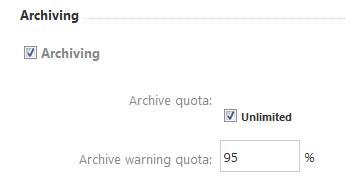 Finally, decide on archiving, quota and warning. Done! 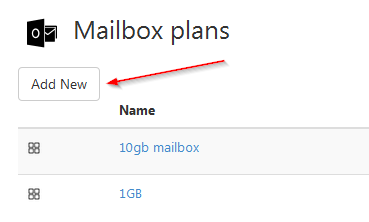 The new mailbox plan has been added and set as default.